Welcome to Le Geresine. 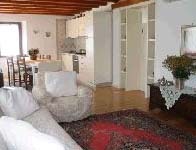 The bed and breakfast is located near Venice in Treviso province and near Conegliano and the Prosecco route. 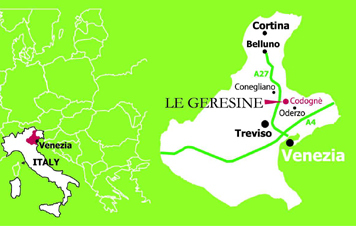 Coming from the motorway A27 In Conegliano, turn left in the CADORE MARE road keeping the Oderzo direction. After 4 kilometres turn right (after seeing 'Consorzio Sinistra Piave'). We are in via Petrarca at number 7 (first house on the right). Coming from the motorway A4 you have to go out at CESSALTO. Keep Oderzo direction trough the STRADA CADOREMARE. After 10 kilometres you will be in Cimetta di Codegnè.